OSHA will conduct an informal public meeting on November 13 to discuss proposals in preparation for the upcoming 36th session of the United Nations Sub-Committee of Experts on the Globally Harmonized System of Classification and Labelling of Chemicals (UNSCEGHS). OSHA, along with the U.S. Interagency GHS (Globally Harmonized System of Classification and Labelling of Chemicals) Coordinating Group, will provide interested stakeholders with an update on GHS-related issues and an opportunity to express their views for consideration in developing U.S. Government positions for the UNSCEGHS meeting. 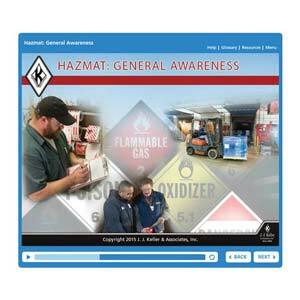 J. J. Keller's Hazmat Training: What's Required & How To Comply provides employees with critical information on all 4 areas of required Hazardous Materials Regulations (HMR) training.